Frank's new studio is loacated in Alstonville, Australia. The studio is set in a beautiful country environment with valley, rainforest and sea views. It is also the location of the Alstonville Country Cottages – somewhere to stay and enjoy the peace & tranquillity when you visit our beautiful village of Alstonville. 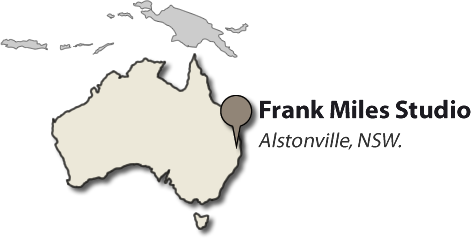 Click here to find out how to contact Frank about his artwork. View the slideshow below to get an inside look on the studio process! 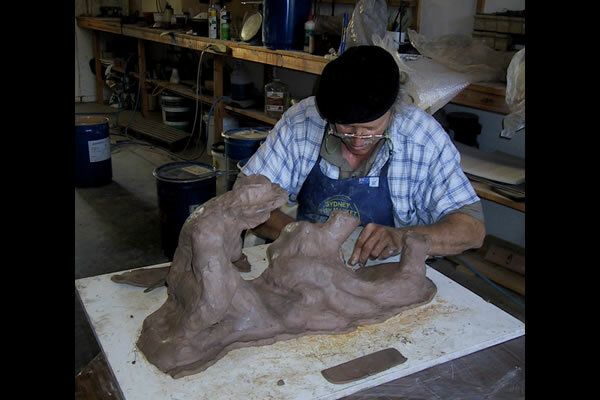 Frank creates an armature in the form and shape he wants to sculpt, and packs this armature with clay. 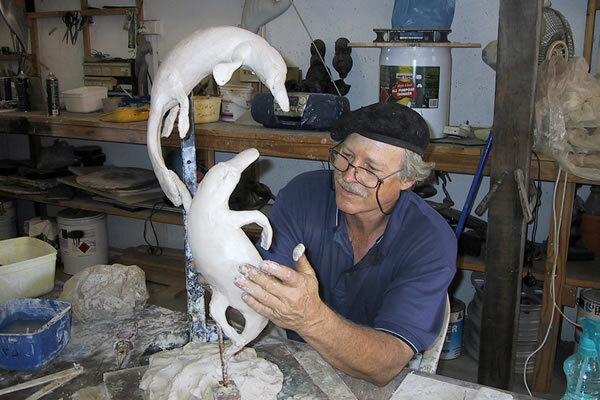 Frank shapes and refines his sculpture out of the clay using his hands and a few tools - many which he has designed over the years. 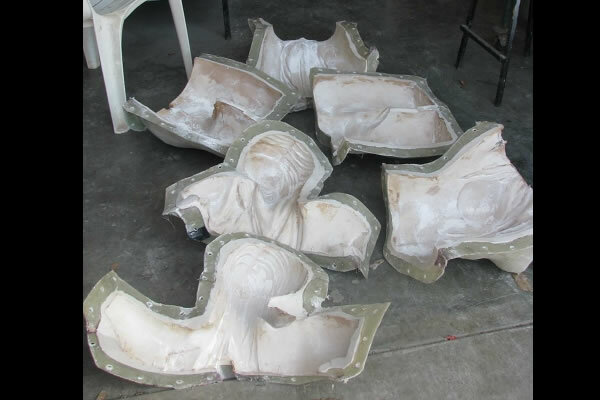 The mould is then sent to an Artistic Foundry in Brisbane or Auckland, New Zealand. 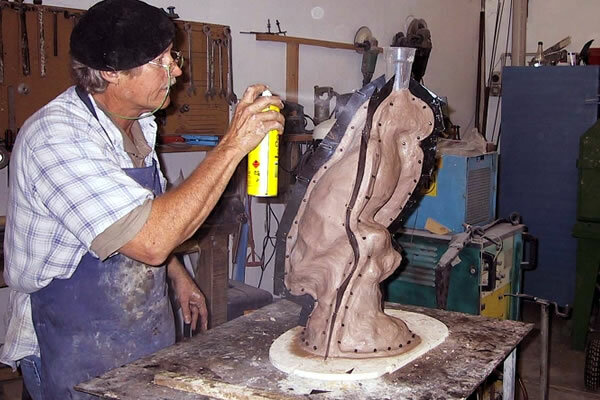 The foundry reproduces the sculpture into Silicone Bronze making an exact copy of Frank's mould using the Ceramic Shell Lost Wax process. 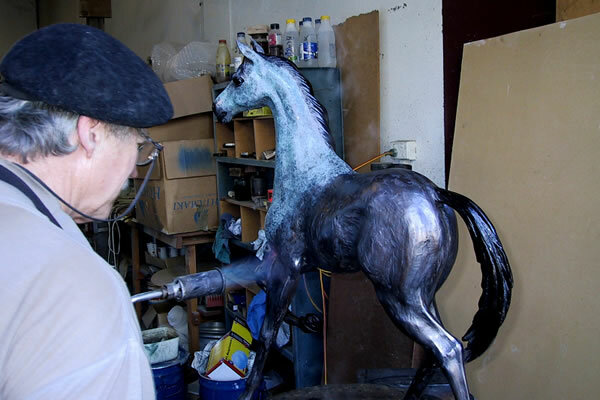 The bronze sculpture is then returned to Frank Miles' studio where it is welded, fettled and finished ready for patination. 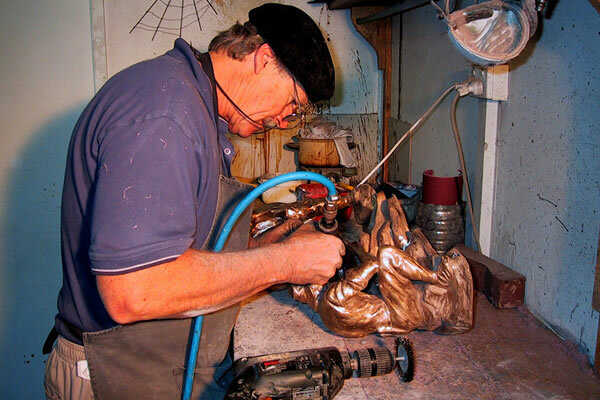 Finally, Frank patinas the bronze sculpture which can take many hours depending on the size of the piece. 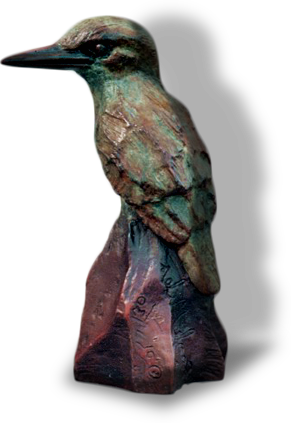 These patinas are very special and have been perfected over the last 30 years.